Thanks, that's a nice list! 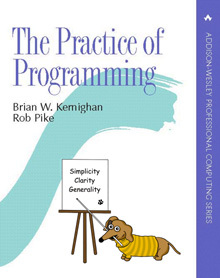 ... and concerning recommendations for other practical programming books, have a look at "Hacker's Delight" from "Henry S. Warren" - there are lots of good algorithms in there. Yes, Hacker's Delight is great. It was mentioned as a side note under Programming Pearls in the post. It's like a poor man's vector instructions :).